(Francisco Kjolseth | Tribune file photo) The Brigham Young University campus in Provo. A new report suggests women now outnumber men at Utah’s colleges and universities, but male students still rank higher in terms of completing their degrees and on salaries post-graduation. Amber Bird always wanted to go to college. But after her first pregnancy, she no longer felt like she belonged at Brigham Young University. Bird ultimately decided that pushing her dreams aside would hurt, not help, her family. So she completed her undergraduate degree at the Provo school in December — the same year her daughter was born — and plans to start a master’s program at BYU this spring. She recounted her experiences to members of the state’s Women in the Economy Commission on Tuesday as the panel released a study on the representation of female students at Utah’s colleges and universities. The study found that women have made significant gains on Utah’s campuses and in some ways fare better now than their male counterparts, based on a review of nearly two decades of education data. Women now outnumber men on Utah campuses, and earn the majority of associate and bachelor’s degrees in the state, according to Catherine Jeppsen, a researcher with the Utah Women and Leadership Project who wrote a research brief for the study. “We aren’t the same Utah that we were 20 years ago,” Jeppsen said. But concerns remain, Jeppsen said, as the data potentially ignore the acute educational obstacles encountered by Utah women, who lag behind their national counterparts despite gains within the state. 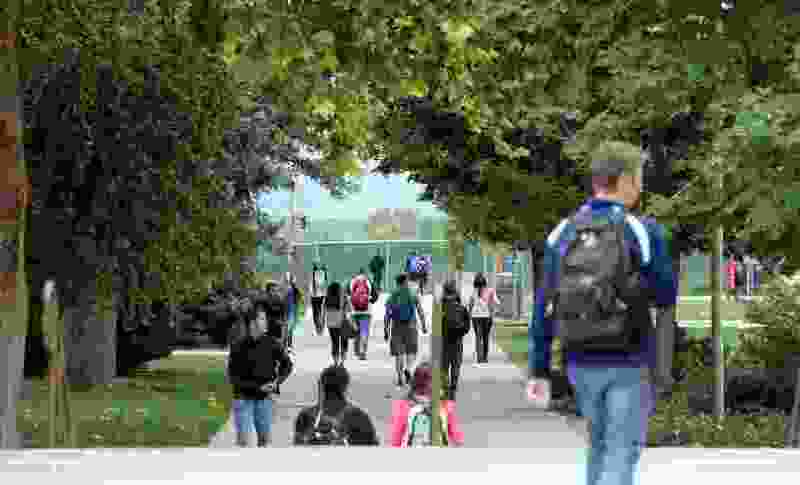 Male students in Utah still rank higher in terms of completing their degrees — particularly at the master’s and doctoral levels — and on their prospective salaries post-graduation, according to the report. The study is based on data from the Utah System of Higher Education, the U.S. Census Bureau’s American Community Survey and the Integrated Postsecondary Education Data System, or IPEDS, between 2000 and 2017. Data suggest that Utah’s female college and university students are more likely to end up in the “some college, no degree” category of educational statistics, and to self-select into lower-paying fields. And overall enrollment trends mask wider imbalances in particular programs, with women outnumbering men in education but trailing male counterparts in engineering, sciences, mathematics and business. “Utah women earn lower-level degrees, pursue lower-paying and stereotypically female fields of study, and have poorer economic outcomes compared to U.S. women,” Jeppsen wrote in her research brief. The report also suggests that while the educational careers of both men and women are affected by family obligations, the impact of marriage and having children is more pronounced for female students. The report also made three recommendations for state policymakers: support services such as on-campus day care and baby-friendly study rooms for students with children; additional research on how religious service, family responsibilities or student employment might affect men and women differently; and the creation and promotion of family-friendly workforce policies. After the report was presented, Kathy Bounous, general counsel for the Utah Department of Workforce Services and a member of the Women in the Economy Commission, shared her own story of earning a degree as a young mother. Raised in a low-income household in Idaho, Bounous said she became pregnant at 17 and graduated from an alternative high school. She attended Salt Lake Community College for two years, and praised the school for its on-site day care and flexible scheduling for working and parenting students. “I can’t say good enough things about that establishment,” Bounous said. But challenges grew more pronounced as she continued her education, Bounous said, first as an undergraduate student at the University of Utah and later at BYU’s J. Reuben Clark Law School. The higher up the degree ladder she climbed, Bounous said, the less flexibility she had in adapting her course schedule to accommodate parenting responsibilities. Commission co-chairwoman Rep. Rebecca Chavez-Houck, D-Salt Lake City, said stories like Bird’s and Bounous’ are important for understanding the practical realities that affect Utah’s higher education data. While it’s encouraging to see that Utah’s gender gap is shrinking, she said, the report and personal experiences show more work is needed to make higher education accessible to all students.